That is a great interview. I’ve always liked Luke. He got a lazy a season two back, then got injured. I now think he may be back to his glorious days. Quins need him...England may need him. I don’t see him getting a look in with England, but it would be great to have him back to his best for Quins. I would be surprised if he is in the 23 if we have a fully fit squad. Wallace was one of those that Gussy name-checked in his post match interview at the weekend for praise. If he's fit and firing on all cylinders he's a nailed on starter for me. He is very athletic and good at gaining turnovers. We miss him when he is not around. After last season with injuries/running on empty tanks/management change over etc the best thing we can do as supporters of this great prestigious rugby club, is to give the players, and management time. That has started this preseason with a new direction to follow with regards to new shape, team and tactics; but will need the season to commence to practice this. After (hopefully) some games trying these things out in a game capacity as opposed to training, we will really know how to cook with gas and with what oils and pans best to use to get the results we strive to achieve. All happens with time, and, although quick changes needed to happen by the end of last season and did, we must give time for these to take effect, especially if we want to be more successful in the long run. Clean slate for everyone in my own opinion. 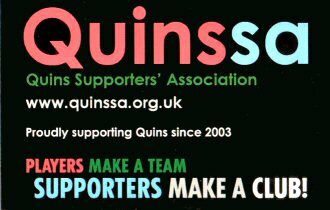 We have over the last couple of seasons put up with dismal shows etc but if we want positive change then more time we must allow to give as supporters. From a players perspective, a new direction/approach to what type of rugby we play and how we go about it, needs adaptation. Some players adapt quicker than others and for some this new style may or may not suit their own attributes. As I say once we’ve grown our teeth we can start to bite, and only then we will know how much we can chew. Until then, we must give them time.